Don't take our word for it, see what a few our of couples had to say. Such a special treasured keep sake and I can’t thank you enough for your time and effort. “You are so fantastic at what you do…. Over a year before the wedding we went to a wedding fare for a nosey, as you do, not thinking we would find or see anything worthwhile……how wrong we were !! As soon as we met you we knew we wanted you to film our special day. You constantly stayed in touch by email, keeping us informed on what we had to do and then we met you a few days before the wedding, and just like you said, I was a little stressed! You could see this and you put me at ease straight away ensuring me everything will be how we want it and not to worry about other people except ourselves. Since that meeting, a weight seemed to lift from my shoulders and I felt so much more at ease with everything. It was exactly the same on the day, you made us feel so relaxed, we didn’t have to worry that you knew where to be and when, you just did it. It was as if you weren’t there, but on the other hand we knew you were there as you got on so well with all our friends and family and it was as if we’d known you for years! Whilst you were having a laugh and a joke with us all, you were still so professional. Just from how the day went and how you managed things, we knew the film would be amazing and couldn’t wait to see it. When we did finally see it well………..WOW !! We were not let down. You have managed to capture everything about our special day, me waiting with my dad, guests arriving and all the other little things that I had forgotten about. You even managed to capture me and Andrew having a sneaky few minutes together- just perfect ! You captured the whole atmosphere of the day just perfectly. We never managed to get any pictures of my niece and also my brother and his girls, but you have managed to capture some nice clips- which just shows how amazing you are- never missed a thing. The way in which you have edited the film is just fantastic- I was in tears in some parts, and my mum, well she was crying before it started! The music fits so well with every single part. You are so fantastic at what you do! No matter how many times we thank you, it’s not enough. We have recommended you to everyone and will continue to do so. You are one of those genuinely nice people who anyone can get one with. We enjoyed every minute of having you be part of our special day and we are truly grateful for everything you did. We want to do it over and over again! You really have filmed all the precious moments, and captured them forever!! Barry is so personable and met with us before the day to go over every detail, it was like having a friend at the wedding! The finished Wedding film is absolutely stunning and had us laughing and crying in equal measures! Great editing, great use of our favourite music, all in all a brilliant finished product. We can not thank you enough for our beautiful Wedding video. I just can not believe how you where able to capture every special moment. You truly have a talent not only in what you do but how you do it . You made our day even more special you fitted in so well with my family and friends and I have had so many comments about how lovely you are. We had forgotten so much and this video brought it all back . “WOW…..What can we say!!!! 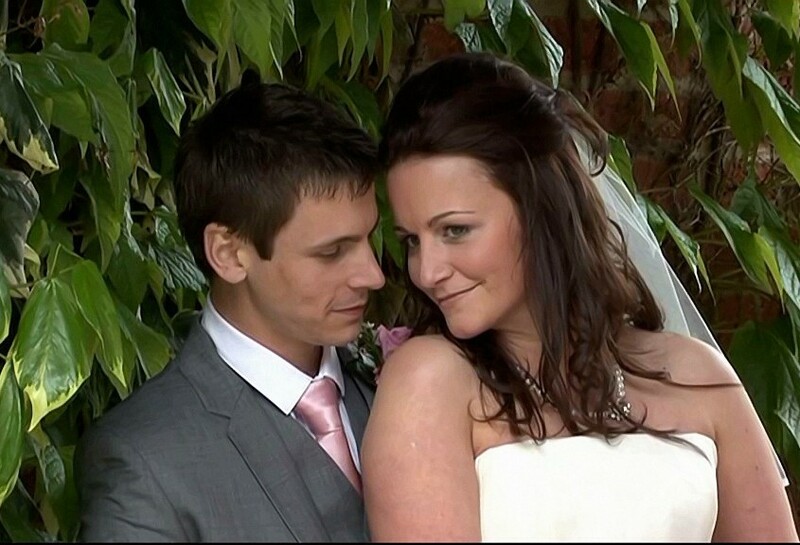 Our wedding DVD is amazing …..
WOW…………What can we say!!!! 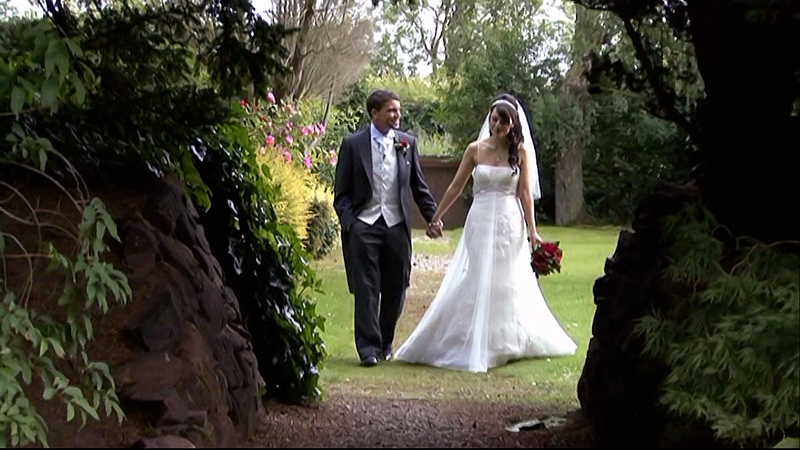 Our wedding DVD is amazing, we couldn’t have asked for anything more. You captured everything and everyone from our special day, and have helped us to re-live memories that would have otherwise been forgotten. It has been an absolute pleasure dealing with you. Your professionalism, attention to detail and calming influence made the whole experience more enjoyable and we didn’t even realise you were there filming half the time! Oh my god Barry! We have had a quick look at the DVDs and absolutely love them!! We laughed out loud at the bit where you had Jordan and eddy in the heart and also the Simpsons character!! It’s just fantastic and we can’t thank you enough. We both said you were worth paying to just have at the wedding even without the DVD! But it’s just great and we can’t wait to show people. We are both very impressed! “The film you have produced is absolutely out of this world …. We can’t stop watching it and this is the icing on the cake for us as its the last piece of our special day and recaps everything perfectly. Thanks again for all you have done and providing with us with an amazing film and a fantastic keep sake of the wedding. We have just received our wedding DVD and after watching it 5 times over the weekend my face is aching from the smiling. The day went so fast and it’s amazing to be able to watch back our vows, the speeches and our first dance. We are so glad we had our day/evening filmed. .
From the first meeting we had with Barry we knew we had made the right decision going with diamond lights and watching our DVD back has only confirmed that. Barry is extremely professional and friendly and very discreet on the day. It’s genuinely hard to put into words how amazing our DVD is you captured some brilliant moments and have edited our music choices in brilliantly, you have definitely gone above and beyond what we were expecting and I have already recommended you to brides to be. Barry, thank you so much for filming our wedding and thank you for calming down a nervous groom on the day. There were certainly tears when your DVD was put on, but only good ones! I know you have several reviews on your site which say how fantastic you are at what you do, and I can only reiterate what everyone else has said that your meticulous detail and hard work is reflected in our DVD and I thank you so much for capturing our special day perfectly. From the little things such as the flowers at the church to the beautiful grand shots of our venue. Things which we missed on the day due to being so preoccupied – you captured it all! You set the scene of the atmosphere and made our story of the day come alive on DVD. I wish I could tell the world how good you are as I would love other people to have the same experience as we have had with you on their big day. I wouldn’t think twice about recommending you as I know 100% that you would do brilliant job. You said we wouldn’t notice you there and we didn’t…..
…. but to be honest, even if we would have, you were so warm, friendly, approachable, accommodating, smart and funny, professional, reliable and experienced that it wouldn’t have mattered anyway! You mixed with all or guests from our twelve month old flower girl to our older guests! Not only that but your professional relationship with our photographer was excellent, you both worked so well together and considering you had only met at the rehearsal for five minutes it was as though you had worked together for years!! I watched the DVD back and am shocked that you got so much footage. I knew that it was going to be good, but I was blown away with how professional it looks. Everyone has commented on that aspect of things. My sister said that it put her wedding DVD to shame because of how professional it looked.! Three discs worth and it is priceless to us, your package deals are worth every penny, if not, more! We saw loads of videographers before we decided to go with you, and a lot of them where nearly double the cost of yourself, and of all the DVD’s we have seen, this one is by far and away the best. I felt like a princess on the day and the way you edited it made me look like one! The slow motion black and white footage looks so elegant. The music was allocated to the DVD perfectly and I just loved the “Rachel and Steve” segment of the film, that blew me away. Of all the money we spent on the wedding, this was definitely the best thing we bought. I’m sure the photos will look great but the DVD just captures the day so perfectly that we will be able to re-live the day anytime we want. I could go on forever but what I am simply saying is thank you Barry so very much for capturing our memories on a DVD in such a stunning way! ….To think that at the beginning we weren’t even sure we’d have a videographer, but the moment we saw your demo DVD we knew we’d go with you. We found it quite difficult to plan everything for our wedding with living on the south coast so our mums did the initial meeting with you. Saying that, the fact that Michael and I didn’t even meet you until 48 hours before our wedding didn’t even matter. You fitted in so well with all our friends and family, it was as if we’d known you for years…..
My Dad was really conscious about being on film for the whole day, to the point where he didn’t want his speech to be filmed but by the time it got to speeches he was much more relaxed and changed his mind completely. He couldn’t sing your praises enough after the wedding. Lots of our guests commented on how friendly, funny and professional you were – some didn’t even realise we’d hired you and thought you were a family friend! The shots you did at the church on the morning of the wedding were amazing – and the music you edited it to was just perfect for our ‘theme’! In fact, the way you edited all of the music we chose for our film was outstanding. I cried the first time we watched it and since showing the film to friends and family we’ve yet to watch it without somebody crying. You have done such an amazing job. You managed to record all the things that we missed. We got to see each other arriving at church, all of our guests arriving and our casino during the afternoon. I loved the little touches you put into the film, the way you edited my Uncle’s win on the casino and my brother’s ‘saucy’ walk after the speeches! We kept rewinding the funny bits back to watch and laugh again. It was lovely to see footage that you’d taken during the day where we didn’t even realise you were filming. I love the segment of film of Michael and I and also the clips you got of our page boy and flower girl – we hadn’t managed to get any pictures of them smiling together but you have a whole sequence of them. I’m sure I’ll be in touch to order some still images. I have to thank you once again for staying late to film our first dance after we had a problem with our sound system. Another special thank you for all the effort and hard work that went into editing the raw footage, you kept in touch with us all the way through and I know there were a couple of 2am finishes to be able to get the finished film to us over Christmas. It just goes to show how dedicated and what a true professional you are. Our DVD really is fantastic – you captured everything so beautifully and it really is the best keepsake of our day, it tells the story of our wedding far better than any photographs ever could and the atmosphere comes across so well (especially with our ‘dinosaur crew’ who loved you!) We can’t recommend you enough! ” Best day of our lives filmed perfectly on magical DVD…. I would just like to say a massive thank you for being at our wedding and capturing everything perfectly on camera. You created an amazing DVD which we have watched over and over again. It’s great to be able to see all of the bits we missed on the day. The DVD has been edited very professionally and all the background music fits in perfectly with the film. All the subtle effects that you have put in the DVD we think are brilliant and the guest messages are amazing. We laughed so much at the Skit of Si and Tom and the way you edited it into the DVD was seamless. You managed to get some great shots without ever being intrusive and we hardly knew you were there. Your such a nice and funny person and very easy to work with and a number of guests said what a lovely man you were. We would like to thank you once again for capturing our wonderful day on DVD allowing us to re-live it at any time. We couldn’t speak more highly of you and will be recommending you to all our friends who are getting married. You have given us something that we can treasure for ever. “Wow!! Truly stunning! Flawless- a perfect reminder and keepsake of our amazing day….D…. It is wonderful to re-live the day again. Words cannot describe the way in which you have captured our Wedding Day. The film is perfect. Thank you so much. For once, we are speechless. Throughout the film we have cried tears of happiness and we have laughed with pure joy as our wedding has unfolded before our very eyes. Everything about the film is perfect. From the excitement of the arrival at church, to the fun and liveliness of our evening reception. We hardly knew you were there, but from the moments that you have captured it shows how thoughtful and professional you are. How we felt on the day shines through in our DVD, everyone we have shown it to has been blown away and they have all commented on every aspect of your filming and how you were so warm and friendly on the day. You have captured every moment. From the smallest details, such as the butterflies on the topiary trees, the flowers on our flower girls dress, the decorations on the cake and tables. To the more intimate moments that Andrew and I shared, especially when we were twirling around, to the bigger moments such as the speeches, the roulette tables and the singer singing our first dance. You captured everything! Thank you! It was such a lovely surprise when we watched the DVD to see what tracks you had chosen from our list. You have matched the music perfectly to the moments captured and the tears certainly fell at some emotional points as we watched our day. The most important thing that we would like to thank you for is how you made us feel on the day. You were so kind, professional and filmed everything without being intrusive, you made us feel relaxed and you never made us stage anything to film which was fabulous. You worked well with our photographer, with Wrightington Country Club and with the Church! I felt like a Princess on the day, but thank you Barry for making me look like one, the still shots are truly stunning and we especially love the slowed down black and white moments. We remember sitting in our house on the church rehearsal night with you, three days before our wedding and you said, ‘before you know it you will be doing your first dance’ we didn’t believe you, but you were right. The day whizzed past in a whirlwind and with the emotion of the day it was so difficult to take everything in. But, we are so glad that we found you, as we now have a truly amazing everlasting memory of our day. Thank you for capturing perfectly, the most amazing and most important day or our lives! “We will treasure our wedding film forever…. …we watched the video on Wednesday night and absolutely loved it. I can’t believe how great everything looks, in fact I can’t wait to watch it again! You’re an absolute professional and the results couldn’t be better! We are so pleased we picked you, from the rehearsal to the end of the wedding day you were just so helpful and both Ben and I commented that the filming wasn’t intrusive at all- some of the shots you got we didn’t even realise you were there! We especially love the editing of Ben’s Usher Andrew Dean who looked like Jesus we had to pause the DVD we were laughing that much!!! Even down to the cover on the DVD with some of the stills you have chosen and the stills on the actual discs, everything is just so perfect! We can’t thank you enough…Thanks again!! Thank you so much for our DVD… it is perfect !!! We spent a lot of money on our day but this was the best thing out of everything. ..it’s great to have such a wonderful keepsake of the day. We love how you’ve put the music together with the running of the day-it works perfectly! We have been in stitches laughing at the extras that you added into the speeches!!! They were so funny! You’ve done such a great job of capturing all the little things that happened as well as all the important bits which is really nice for us to see what everyone else was doing when we weren’t there! You put across the emotion of the day wonderfully. Again, we can’t say thank you enough, for both giving us a fabulous DVD that we can keep and for being an absolutely lovely bloke! All our family and friends really enjoyed having you there – you fitted in perfectly and made everything so easy and put everyone at ease. We couldn’t have made a better choice of videographer.Thanks again! !